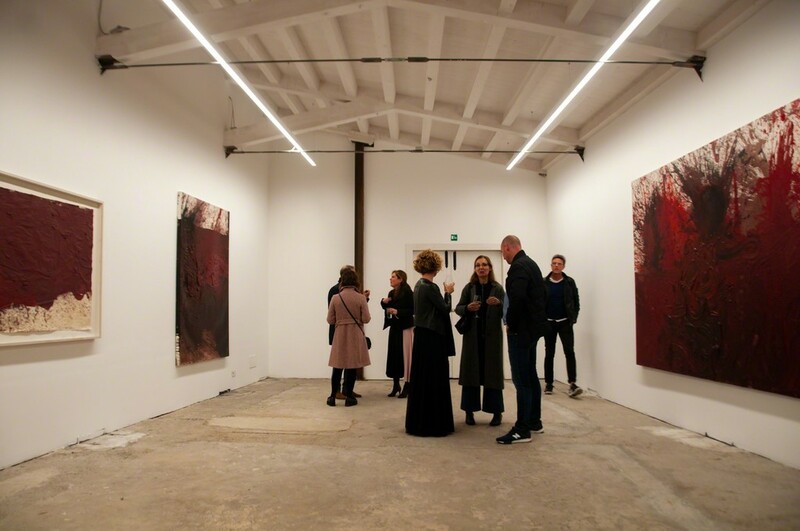 The Venetian venue of the gallery hosts a deep visual reflection on the theme of the body and its limits through artworks by Romina De Novellis (1982) and Hermann Nitsch (1938), two artists who have found the highest expression of their art in the intense performative action. Alberta Pane gallery is pleased to present the exhibition Voyage à Naples, curated by Léa Bismuth, with works by Romina De Novellis (Naples, 1982) and Hermann Nitsch (Vienna, 1938), two artists who have found the highest expression of their art in the intense performative action. 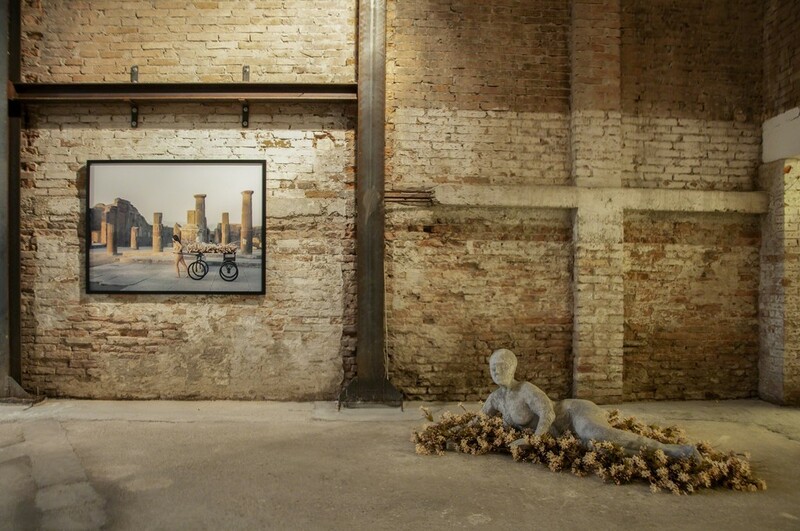 The Venetian venue of the gallery will host a deep visual reflection on the theme of the body and its limits; an exploration between the practices of the two artists, in an interweaving of multiple tensions that intends to cross different Italian geographies: from Venice to Naples, where the volcano and its collective imagination play a fundamental role. 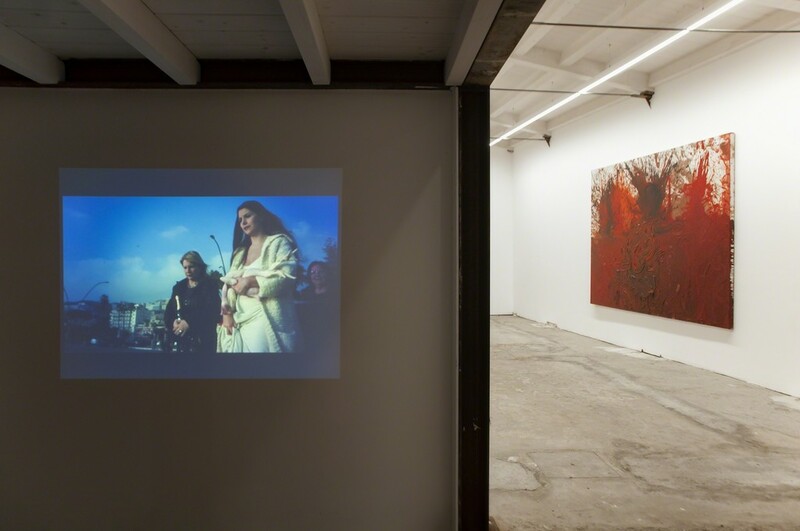 The gesture, repeated, prolonged and exhausting in the practice of De Novellis, ritual and desecrating in Nitsch’s, is the fil rouge in a cathartic journey through videos, photographs and canvases, stitching the wide time gaps that divide the works of the two artists. The two are involved in a process of ‘total art’, which aims to awaken the senses of the visitor who participates with his own emotions in the work itself. 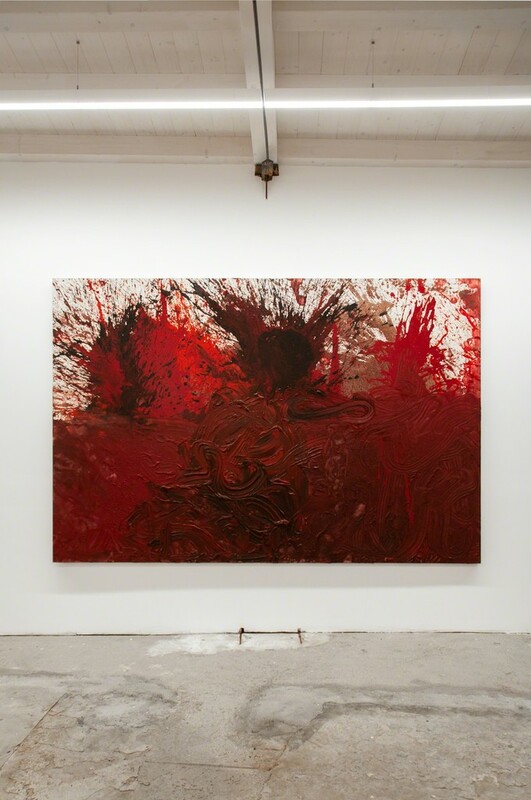 Hermann Nitsch finds in the action that provokes repugnance and repulsion the medium to bring man closer to his instincts and subconscious. A fundamental element within the so-called Viennese Actionism, Nitsch is known for its Theatre of orgies and mysteries, for the staging of para-religious rites that aim at abreaction, i.e. the liberation of repressed human instincts. Art, a means to intensify the process of creation, is for the Austrian artist an opportunity for spiritual ascent. 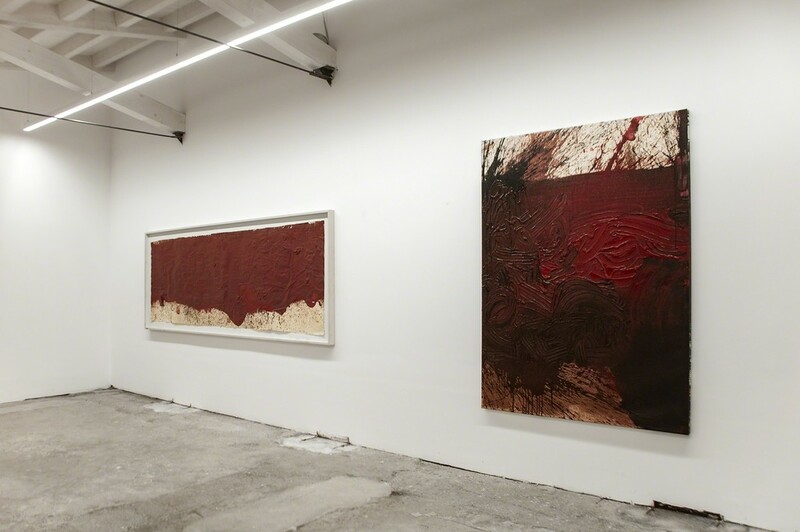 The material - blood, colour - continuously regenerated in the performances is also laid on the canvas as an evident imprint of that regenerative and cathartic process. The artist has a special bond with Naples, source of inspiration for many of his most significant, extreme and ritualized Aktionen. Arrived in 1974, it is here, in fact, that he plays, thanks to the support of Giuseppe Morra, the note 45°aktion that, accompanied by a "wild music", which reflects the temperament and ardor of the south, leads him to the temporary expulsion from the Italian soil. 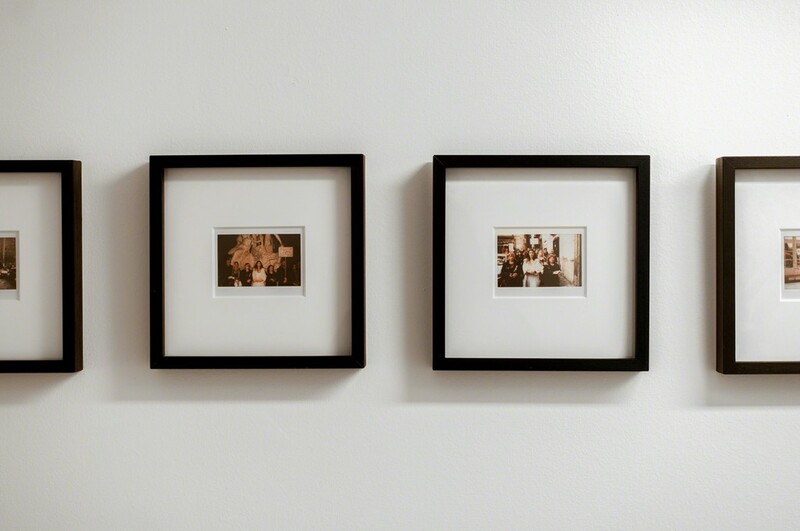 Naples is also a place of conservation and research on Nitsch’s practice: in 2008 Giuseppe Morra opened a museum and research center, Museo Archivio Laboratorio per le Arti Contemporanee Hermann Nitsch. In Romina De Novellis' work the body is at the centre of her performances, in which physical exhaustion is overcome in favour of an action that, like a sort of magnifying glass, aims to show some essential aspects of our existence. These tableaux vivants, which manifest themselves by the repetition of the gesture, intend to place the accent on time. The artist wishes to share a moment, if only an instant, with the public: a delicate but energetic incentive to move towards new paths and habits. One of her most recent performances, Gradiva, of which some photographs will be on display, is an existential and liberating journey through the remains of the Archeological Park of Pompeii, an awareness of the human condition; a ritual walk through the ruins of Pompeii with the massive Vesuvius in the background, accompanied by the sounds of the city of Naples that overlap the creaking of that cart dragged from sunset to dawn by the artist herself and on which a mold of her body rests. The exhibition will be enriched by a literary creation by curator Léa Bismuth. 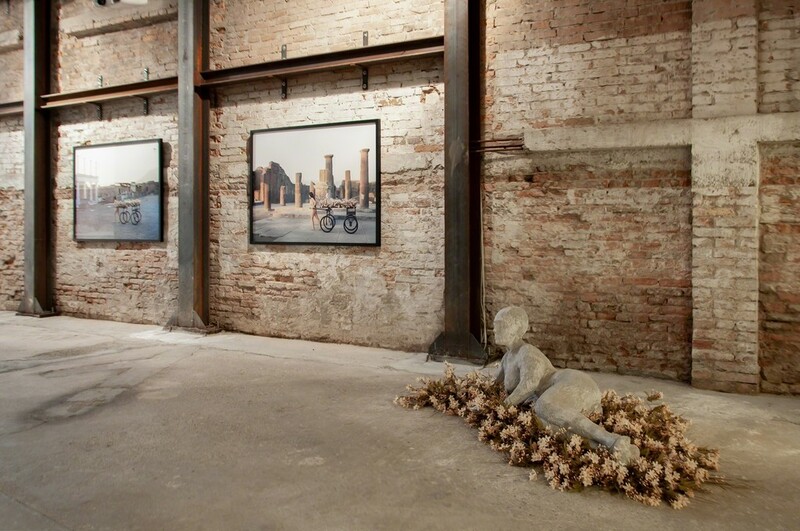 It will consist of an editing of texts, fragments of a story in motion that will appear on the walls of the gallery. Speaking of editing, in the cinematographic sense of the term, a temporal distortion will be created and the imagination activated. Some characters will appear like Chinese shadows, fantômes d'inspiration, as they have been defined by the curator: the Marquis de Sade, Malcolm Lowry, Roberto Rossellini, Sigmund Freud or Andy Warhol and Jonas Mekas.